The Mouton Cadet Winery is the nerve-centre for the production of Mouton Cadet wines. It is there, in the heart of the vineyard, that all the post-vinification stages of the winemaking process for the brand are carried out. 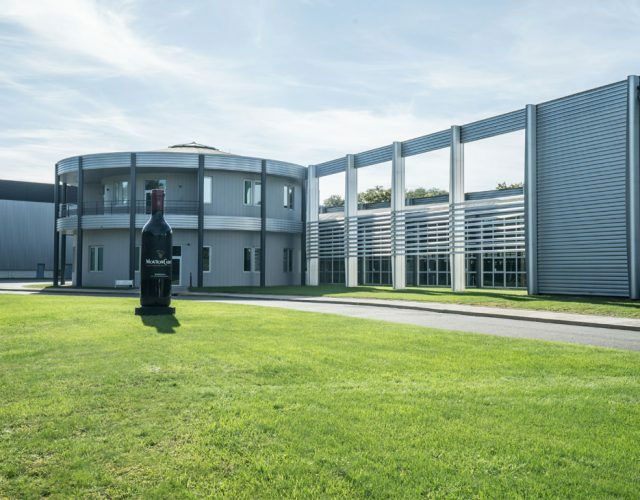 Spanning 17 hectares (42 acres), this modern, efficient facility is where all stages of the Mouton Cadet wines elaboration are proceeded. Having all these activities in one location ensures that sometimes complex winemaking and production processes can be monitored step by step in order to meet the company’s self-imposed quality and efficiency requirements.